A U.S. Army Research Laboratory scientist and a Massachusetts Institute of Technology professor joined forces on a new book showcasing advances in robotics and autonomous platforms. Dr. Shawn Walsh, a materials researcher from the laboratory and Prof. Michael S Strano, Carbon P. Dubbs Professor of Chemical Engineering at MIT, authored and edited a book that they say, "unites materials, energy, computation and robotics in profoundly new ways." "The book emphasizes teaming with academia and industry to deliver the best solutions to Soldiers, and more generally, to society," Walsh said. 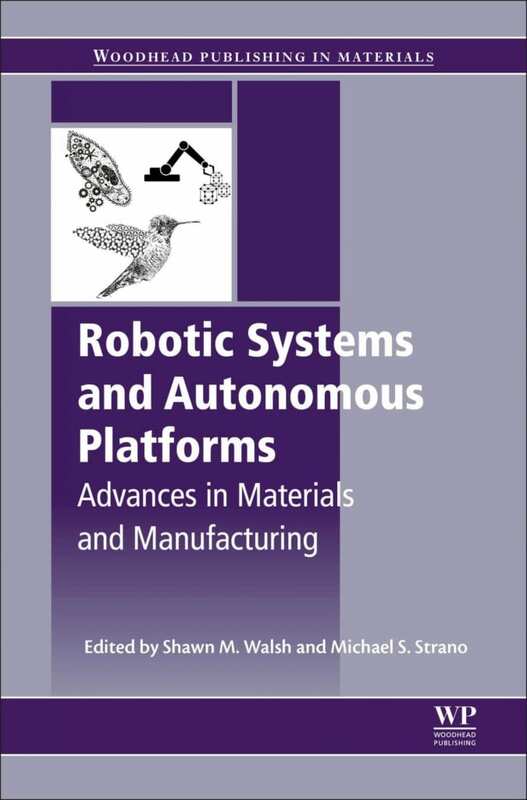 The book, "Robotic Systems and Autonomous Platforms: Advances in Materials and Manufacturing," includes chapters written by five ARL researchers: Dan Baechle, Drs. Randy Mrozek, Geoff Slipher, Anit Giri, Kris Darling, and Sam Stanton. "The future includes research at the transdisciplinary intersections of these diverse, but complementary research areas — something ARL is extremely well positioned to do," Walsh said. The book explores how autonomous systems can "enable new uses for materials, including innovations on different length scales, from nano, to macro and large systems." It takes a look at autonomous systems that can enable new uses for manufacturing, highlighting innovations in 3-D additive manufacturing, printing of materials, novel synthesis of multifunctional materials and robotic cooperation. Enabling a breakthrough requires new thinking according to the scientists and engineers on the front lines of innovation. "It requires disrupting the notion of an intelligent system as a rigid multi-body platform optimized for quasi-static and steady-state motion," Stanton said. "To achieve robust, resilient, and energetically versatile agility and dexterity rivaling biological systems, robotic systems and exoskeletons require breakthrough components featuring locally tunable material properties with embedded sensing and actuation." The authors foresee a future military offset that will leverage autonomous systems to increase situational awareness, lighten warfighter load, improve sustainment, facilitate movement and protect the force. "Some of the DOD capabilities required to achieve these goals include miniaturization of robotic platforms, swarming intelligence, adaptive exoskeletons and all-terrain autonomous mobility," Stanton said. The Army Research Laboratory has made foundational research investments in materials, energy, computation, and robotics, Walsh said. "We're looking for new opportunities at the intersections of disparate science and technology areas, to move away from thinking of a robot as a discrete device to the idea of a robot as being a 'self-adaptive ecosystem' with task and purpose," he said. "We discuss themes that highlight highly novel applications from the international academic, industrial and government sectors." Walsh said the new Army Futures Command is "keen on science and technology, including robotics, artificial intelligence and new modes of collaboration with industry and academia." "Our book exemplified this approach," he said. The book, which was published this month, is available in print and as an e-book from major retail booksellers.